Looking for a challenge, something to put a little competition into the play? 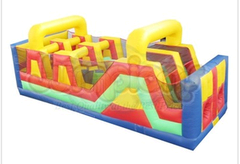 Inflatable Obstacle Course are just the answer. 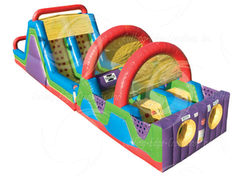 These bounce style challenge courses are a great way to include all ages in the activities of your next event. Safe, and exciting, these rental units are a great way for your guests to test their skills. Browse the selections below and click on the image or title for more information or to make a reservation.